Toyota ANTICS connected with music, art, gaming and action sports lifestyle communities across the US while showcasing the Toyota Matrix, Corolla and Yaris models. FILTER engaged REACH to help produce the Toyota ANTICS Nashville Block Party at Mercy Lounge in August 2011 featuring Delta Spirit, Surfer Blood, Turbo Fruits, The Wild Feathers and other fan favorite bands. 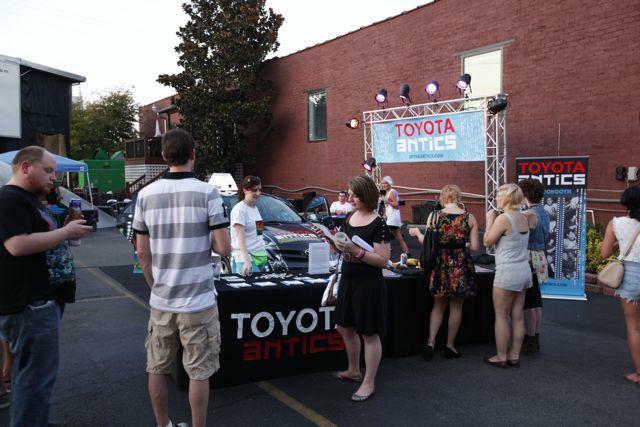 The event attractions included customized vehicles outfitted with classic 80’s arcade games, custom photo booth, silk screening stations, art exhibits, free music, and an amazing opportunity to enter for a chance to win a new Prius. In partnership with Toyota and FILTER, REACH produced the on-site activation for two stops along the Prius v Creation Station Tour: Boston’s Life Is Good Festival in September 2011 and at Nashville’s Bass Pro Shops during the biggest shopping weekend of the year, Thanksgiving weekend. During the Prius v Creation Station Tour, potential owners had the opportunity to see for themselves what the "v" in Prius v is all about -- versatility. 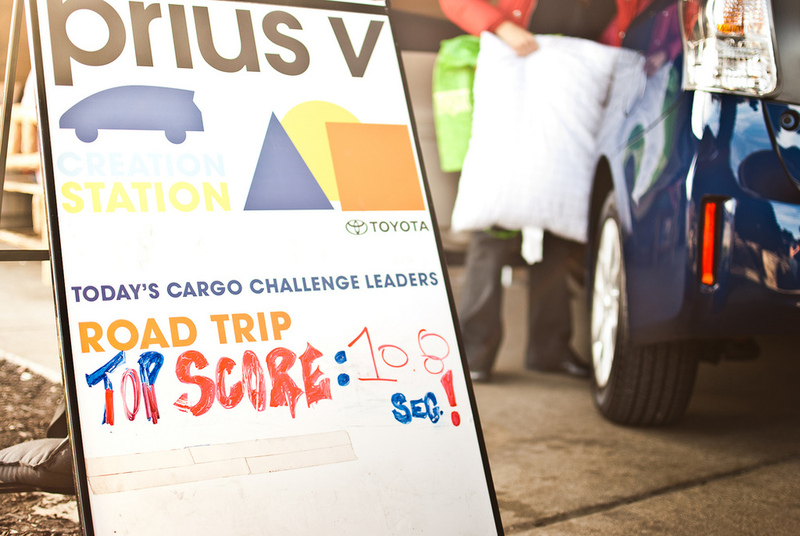 From the Prius v Cargo Challenge to the kid’s t-shirt coloring station, the tour featured unique activities for children and adults alike. The experiential activations showcased the Prius v's roominess, fuel efficiency, sustainability and the all-new Entune multimedia system.